Good. Good condition paperback with minimal wear. Contents are clean. Covers have light wear with sticker on back. Very Good. 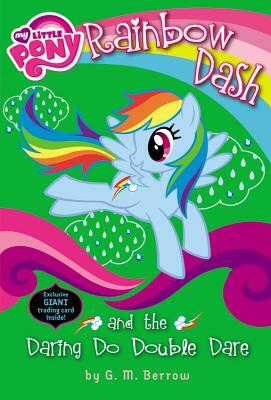 Rainbow Dash and the Daring Do Double Dare (My Little Pony (Little, Brown & Company)) by Berrow, G M. Trade paperback (US). Glued binding. 145 p. Contains: Unspecified, Illustrations, color. My Little Pony (Little, Brown & Company). Intended for a juvenile audience. Good. Rainbow Dash and the Daring Do Double Dare (My Little Pony (Little, Brown & Company)) by Berrow, G M. Trade paperback (US). Glued binding. 145 p. Contains: Unspecified, Illustrations, color. My Little Pony (Little, Brown & Company). Intended for a juvenile audience. Fine. 0316247987 Ships from Tennessee, usually the same or next day.